In the last 10 years, we have observed immense changes in the professional audio video business. The digital has dominated the entire market pushing the analog out. It wasn’t so long ago that, in order to make a mass event (arena, stadium or open-air show) happen, a truckload of cables was a must, which took many hours to plug to consoles. Nowadays, all those cables are obsolete as the digital (Ethernet cables, to be exact) guarantees much easier, quicker and cheaper communication between and among devices. Among the multi-channel digital media networking protocols available at the start of the technology (EtherSound, CobraNet, Dante), it is the latter that has made quite a splash in the recent years. Dante (Digital Audio Network Through Ethernet) was created by the Australian company A u d i n a t e. It allows its user to create digital audio video networks based on 100-Mbit or gigabit Ethernet. It is a plug-and-play type solution, which means the protocol automatically recognizes the devices plugged to a given network and communicates with them. 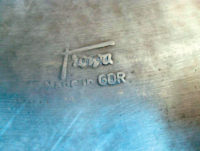 Thanks to such efficiency, the user has full control of everything, e.g. a full list of the units, the possibility to edit device and channel labels, all the data is clearly marked and recorded in the memory. Additionally, there is no need to worry about the signal being disrupted by other electrical appliances (a standard concern in radio communication) or decreased signal quality due to long cable runs. What does the digital have to offer in AV networking? Dante is a protocol that is very convenient and cheap to instal, which is a feature of digital technologies in general. Even the most complex networks can be configured in a relatively simple way, and a battallion of technicians to attend to miles of heavy, multicore cables is no longer necessary. To top it all off, the Ethernet has eliminated all the problems that communication between units within a network used to create. An IP protocol plus some Ethernet cable solves the puzzle. Also, it is not the only obstacle which has been overcome in this way as there is the financial side to it as well. Ethernet cables are so cheap that it practically does not pay off to pick it up after a concert or installation and we have seen situations where light and sound company techs simply ’cut the cord’ and leave it on the site. In the days of the analog, cables cost quite a lot – in Central Europe the prices would range from about USD 25 per meter (Chinese no-name manufacturers) to some USD 80 per meter (renowned manufacturers, such as Sommer). Since an average open-air event required about 60 meters of cable, it is easy to see what kind of costs it used to impose. Another advantage of Dante in signal distribution is its high quality, i. e. no (or almost no) signal degradation due to electromagnetic interference, high-frequency attenuation, and voltage drop over long cable runs. The lack of degradation, in turn, eliminates the need for additional signal boosting devices. Transmission takes place in both directions and crosstalk between cables has been replaced by a dedicated app functionality, which means there is no physical input/output switching. 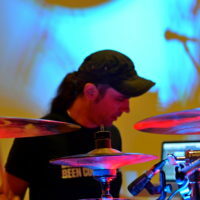 Another thing which has been done away with in comparison to traditional analog signal distribution is the need for signal conversion from digital (mixing console, computer) to analog (speakers, headphones) and vice versa. With signal converters gone, there is one less factor to affect sound quality. One could say that in the case of Dante, the number of channels is practically unlimited. On the one hand, we do have a specific amount of inserts in the protocol. For 100 Mbit networks, with a 48 kHz sampling rate and 24-bit resolution, the user has 96 two-way channels (48 x 48) at his or her disposal. At 96 kHz, the number is reduced by half. For gigabit networks, with a 48 kHz sampling rate, there are as many as 1,024 (512 x 512) channels to choose from. Again, 96 kHz means a 50 per cent reduction in channel amount. On the other hand, the user can multiply inserts with the help of sound cards, which enables simultaneous control over multiple rooms or stages. The possibilities currently offered by Dante Domain Manager (network management software bringing administration and control to AV networks) not only facilitate network configuration transparency as well as domain name and channel label editing, or support larger networks comprised of over 1,000 units, but also give rise to a futuristic (yet logical) conclusion that in the not-so-distant future it will be possible to AV-service events remotely. A pioneering session, where signal was transmitted at the distance of 3,000 meters (about 9,840 ft), has already been carried out by the Audiotech company for a leading Polish TV station. 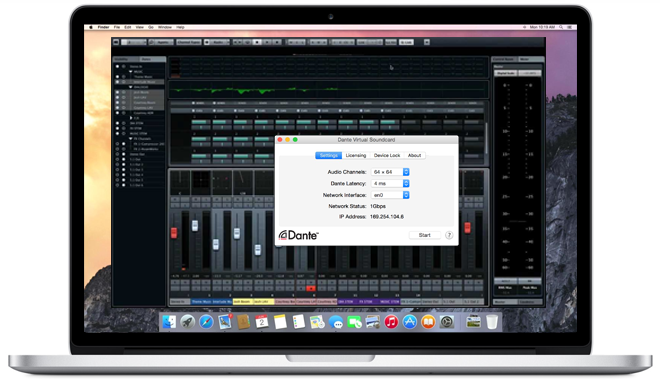 Dante Controller is an application which enables the user to set the parameters for communicating with another device (sampling rate, bit resolution, clock settings, latency, audio routing, renaming devices and channels). 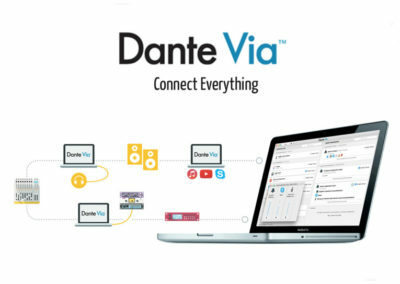 The app is free of charge and available both for Windows and Mac OS X. Dante’s interoperability is something A u d i n a t e are systematically working on expanding. 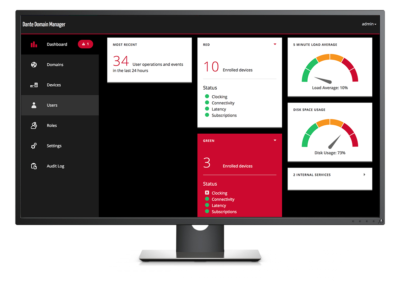 The most recent step in that direction is the expansion of Dante Controller with the Dante Updater application, which allows devices to be updated with the latest firmware, adding to Dante’s interoperability, regardless of manufacturer. 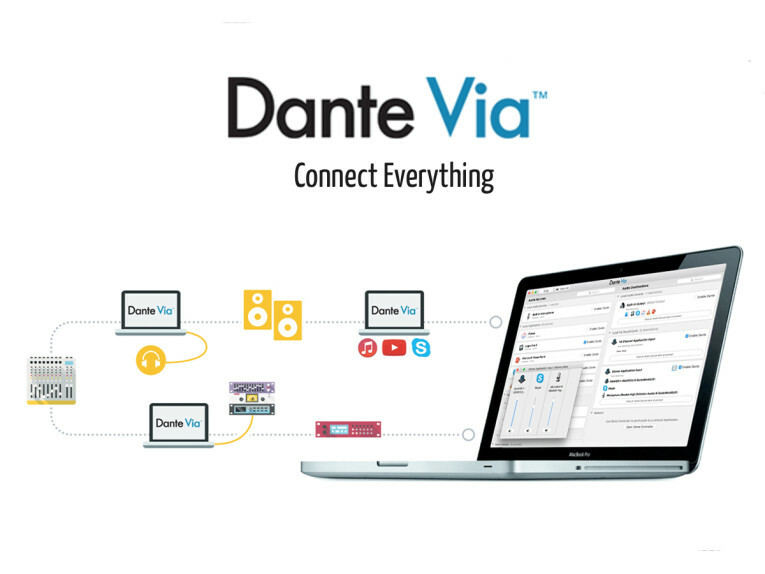 As far as configuration and control are concerned, we should also mention the Dante Via application, which automatically finds and identifies all the channels to list them and interconnect all the devices networked on the desktop. Please note that the app cannot be used on more than one computer at the same time. Dante Virtual Soundcard is an application functioning as a sound card (exactly the way its name suggests), which means there is no need to purchase one. It features an ASIO or WDM interface, 64 channels, and latency of 4 to 10 ms. The DVS turns the user’s computer into a workstation for multitrack audio recording and playing out sound and vision. To that end, it utilizes the computer’s Ethernet connection without any other additional device. 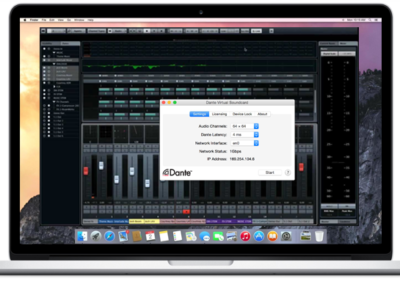 Dante Virtual Soundcard helps to easily integrate a DAW unit, software-based multimedia players, Skype, iTunes, Pandora, Spotify and other applications. A u d i n a t e put a lot of effort into making Dante compatible with legacy devices (be it analog or digital), i. e. trusted units which users want to keep when working with the protocol. 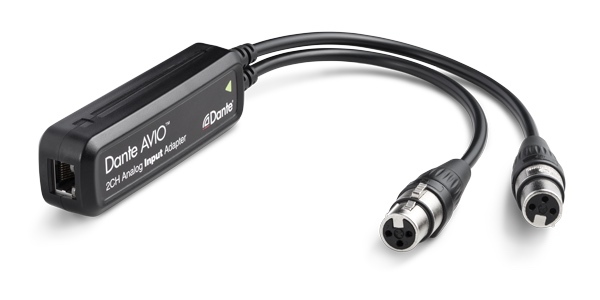 That’s where Dante AVIO adapters come into the picture. Those come in 1- and 2-channel versions with separate inputs or outputs, as well as AES/EBU and USB adapters. 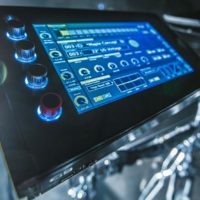 All of them offer connectivity and interoperability between analog and digital legacy devices (mixing consoles, wireless mics, compressors, equalizers, stage DI boxes, amps, speakers, preamps, computers) and Dante networks. 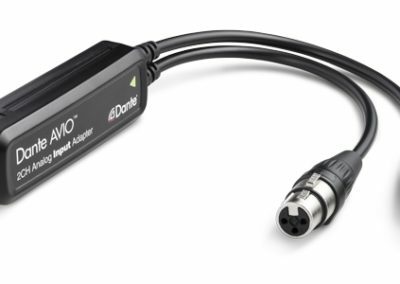 AVIO adapters are not very costly (from USD 129 to 169), and enable even a private user with no corporate budget at his or her disposal to access Dante. 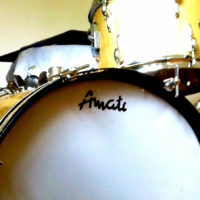 An engineer working in a home studio can quickly create a virtual sound processor (pre- and post master, for instance). That same engineer can arrive at a live gig with a laptop and easily insert his or her favorite VST plugins to the mixing console. Although digital network solutions are perfect for big events, such as stadium and arena concerts, they can also be (and are) applied on a smaller scale. All the advantages regarding configuration, communication, calibration, interoperability, the lack of signal degradation, etc. make systems such as Dante the perfect choice to AV-service small-scale events (symposia, conferences, presentations where mics and beamers are used), support a smaller studio, or build an in-house network. In such cases, communication with portable speakers, headphones, etc. is really easy and effortless. DJs will also find technologies such as Dante very useful when configuring their decks and mixers with monitors and PA equipment. Audinate Group Ltd was founded in Australia and is headquartered there. The company has regional offices in the United States, United Kingdom and Hong Kong. The group is the worldwide leader in the professional live sound, commercial installation, broadcast, public address, and recording industries. 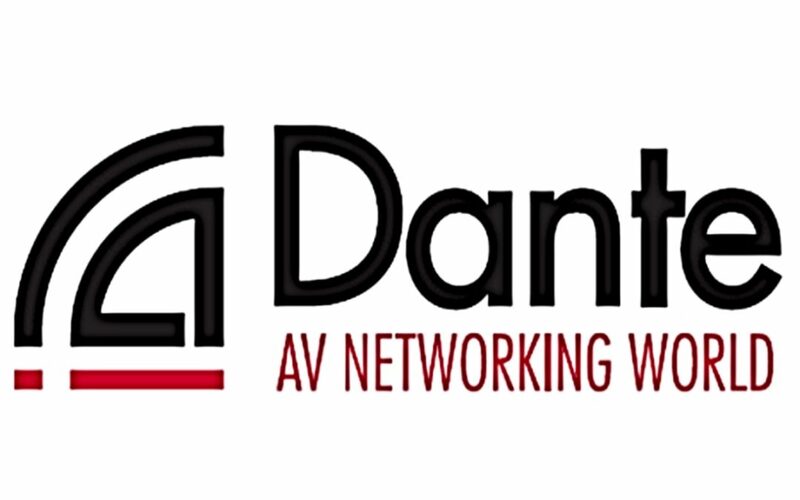 Audinate’s award winning Dante audio over IP networking solution is revolutionizing professional and commercial audio as we speak. The company’s ordinary shares are traded on the Australian Securities Exchange (ASX) under the ticker code AD8.